Ever since Cyrus Mistry was ousted as chairman of Tata Sons last month, the two sides have been trading barbs on a daily basis. This week, Mistry alleged that the expensive acquisition of UK-based steelmaker Corus was undertaken due to "one man’s ego". Knappily delves into Tata’s ambitious acquisition of Corus and analyses why it is often dubbed as the worst deal ever done by an Indian company. What is the story of the acquisition? In 1999, British Steel Corp., a giant steel producer, acquired Sogerail, a company that specialised in rail manufacturing. A few months later, British Steel then merged with Koninklijke Hoogovens, a Dutch steel company to forum the Corus Group. When the Group was formed, it was the largest in Europe and third largest worldwide. The Anglo-Dutch merger was expected to resuscitate British Steel which had incurred a loss of £81 million in financial year 1998-99. After the merger, investments were directed to the Dutch side of operations- Ijmuiden would become a world-class unit, while British Steel would be left behind. The Group's financial health took the brunt of all this as the market value plummeted from $6 billion in 1999 to $230 million in 2003. At first, this prompted Corus to go looking for low-cost steel slabs, and Tata and OP Jindal were among the firms her considered.However, as steel prices hardened, Corus became a takeover target instead of a buyer. In the decade leading up to this, Tata Steel had upgraded its technology and cut down its work-force to become the lowest-cost steel producer in the world. With 5.3 million tonnes output per year, the company was the fifth-largest steel producer. Corus’ output was 18.2 million tonnes per year. Tata had also been expanding abroad by acquiring Singapore's NatSteel in 2004 and Thailand's Millennium Steel in 2005. 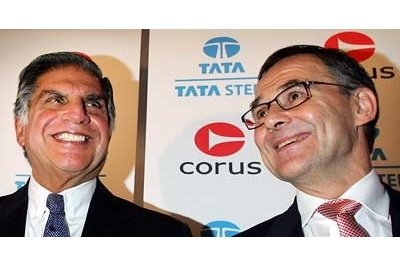 In 2006, Corus would receive a takeover bid from Tata Steel, paying up $13.6 billion, the largest overseas acquisition by an Indian company as the latter outbid CSN, a Brazilian steel-marker. The Tata group saw this as an opportunity to achieve global scale and strategic fit (matching Tata Steel’s resources and capabilities with the opportunities in the external environment). The acquisition was also supposed to help the company move up the value chain (produce highly profitable products, with higher margins). Why is the acquisition in the news? 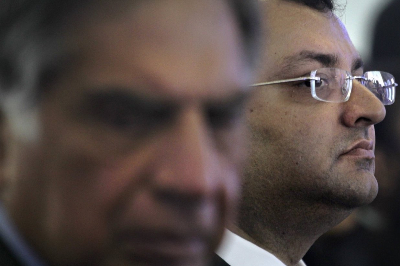 Last month, Tata Sons announced that Cyrus Mistry had been removed as chairman of the company. 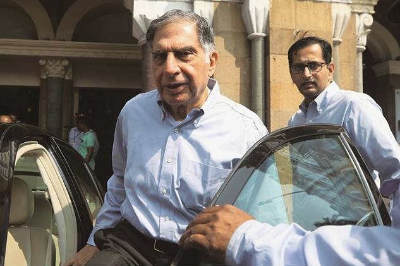 The holding company of India’s biggest conglomerate announced that Ratan Tata would replace him atop until they find a suitable replacement. Since then Mistry and Tata group have been trading barbs on almost a daily basis. On Tuesday, Mistry alleged among other things that the acquisition of Corus for a whopping $12 billion was based on “one man’s ego” and against reservations of some board members and senior executives. Earlier this year, the company reported a consolidated net loss of Rs 3213.76 crore (approximately $480 million) against a loss Rs 5674.29 crore in the year ago period. Tata Steel UK, which employs 11,000 people, has approached the UK government for financial aid. The parent company is in the middle of negotiations with German company ThyssenKrupp about merging their European steel operations. Uncertainty has cast over the future of Britain’s steel industry since Mistry was at the heart of these negotiations. When did Tata start forging links with Britain? Tata Steel's links with the British were forged over a century ago. The bitter-sweet relationship has weathered wars, nationalism, and economic downturns. 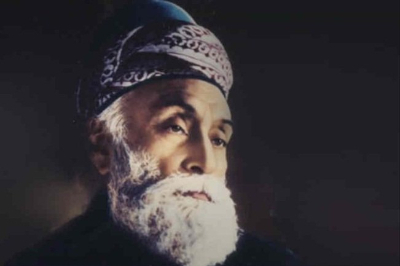 In the late nineteenth century, Jamsetji Tata, the founder of the Tata Group was vocal about his dream of a self-reliant India. And his path to making India so was by constructing its own industrial backbone - steel. In the early 1900s, Tata approached the British colonial government for assistance. He was snubbed. Chief Commissioner for Indian Railways, Frederick Upcott, quipped, "Do you mean to say that Tatas propose to make steel rails to British specifications Why, I will undertake to eat every pound of steel rail they succeed in making." Jamsetji was dubbed as “the JP Morgan of the East Indies” when he visited the US in 1902 to hire men to build and run his steel firm. Six years later, Tata Steel would be started. One of those men, John Keenan would be affectionately called the “Irish-American maharajah of Jamshedpur”. During World War I, Tata Steel worked overtime to produce 8,000 tonnes of five-inch-round steel shells and harnesses for the horses that pulled field guns. 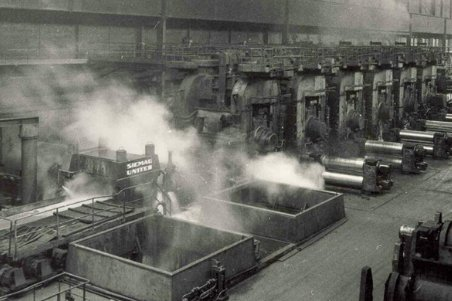 During World War II, the steel sheds, water pipes, sleepers, shells and guns streamed out of the steel mill. This helped stop the Japanese, according to Keenan’s memoir “A Steel Man in India”. But the journey wasn’t all that smooth. 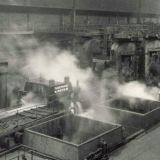 After World War I, “cheap Continental steel smelted out of scrap from the French and Flemish battlefields” prompted talks of Tata Steel being a takeover target, much like how the influx of cheap steel from China has made the company discuss the possibility of a British takeover (in Britain) today. An angry, passionate Dorabji Tata, son of Jamshedji Tata would shout that the day Tata Steel is sold off would never come until he is alive. The company would soon successfully negotiate with the government to impose tariffs on continental steel. Soon the company was back to paying shareholders a handsome dividend. When Corus Group was acquired by Tata, it was a proud moment for Indians - several dailies ran Upcott’s quote in their front page. Corus, analysts estimate, is worth a third or less of the $13 billion Tata paid for it. Tata Steel paid 608 pence a share, a premium of 34 per cent to the original offer price to ward off a challenge when CSN jumped into the fray. Since the price was too high, the premium hasn’t been recovered from the post-merger synergies. After the acquisition of Corus, Ratan Tata explained how an ailing British steelmaker that was five times the size of Tata Steel at the time of the deal, would equip the group to remain at the leading edge of the steel industry. But as the celebrations subsided, the company had to reckon with the streaks of red on its balance sheets as losses mounted. The acquisition had become costly as financial crisis hit two years after it happened. Later the commodity crash and cheap Chinese exports made the operations became unprofitable. A director on the board said that Rs 70,000-80,000 crore of Tata Steel’s funds had gone down the drain because of its European operations. Save for one good year, Corus has remained a problem for Tata Steel. The steel market started deteriorating from the second half of 2008-09, and the company went for restructuring. In May 2013, Tata Steel announced a $1.6 billion goodwill impairment charge, mainly of its takeover of Corus, six years after they acquired the company. The announcement came months after Ratan Tata had stepped down as chairman of Tata Steel. However, it was clear for at least four years that the deal was a financial disaster. This was partly because it takes time for accounts to catch up with reality, but majorly because the company couldn't bring itself to acknowledge that their biggest ever deal was a flop. Earlier this year, Tata Steel's UK plant had started bleeding profusely losing pound 1 million a day. 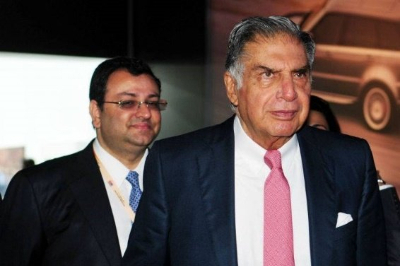 Mistry then decided to sell Tata Steel’s loss-making UK assets after two years of ground work and trying to find a solution with the CEO and management team of Tata Steel. Note: Goodwill impairment is a charge that companies record when goodwill's carrying value on financial statements exceeds its fair value. In accounting, goodwill is recorded after a company acquires assets and liabilities, and pays a price in excess of their identifiable value. “The decision to disinvest in Europe was taken by the entire Tata Steel board and no one should hold Mistry alone responsible for the decision. Dozens and dozens of meetings of the board took place, including with British labour unions and British ministers, who came to Mumbai,” said a director of the board to Business Standard, a week after Mistry was axed. “Was it Cyrus’s decision (to acquire Corus) Corus was a problem that Mistry inherited and he was just trying to clean it up. And, in the process of doing so, quite miraculously, he found Thyssenkrupp. If the merger with Thyssen goes through, then Tata Steel will be rid of Tata Steel Europe and that will save Tata Steel,” he said. "The long term strategy of Tata Steel was well thought out after a lot of deliberation to grow the company through capacity expansion in India and internationally through inorganic growth,” B Muthuraman, former vice chairman and MD of Tata Steel, said in a rebuttal. "The overseas growth strategy was also to focus on accessing new markets through acquisitions, enhance the technology capability of the company and develop high end premium products," he added. How might Tata Steel handle the predicament? Tata Steel is now looking to scale back its global footprint and consolidate its profitable India operations. The unit may be saved from deeper write-downs if it pursues a tie-up with ThyssenKrupp, a move proposed by Mistry, Economic Times quoted an expert saying. 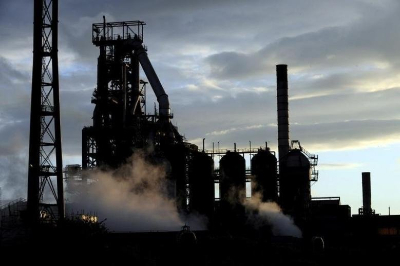 But the challenge arises if Tata Steel is left with the British assets of Tata steel in case ThyssenKrupp refuses to include it in the joint venture.Tata Steel may have to shut down its Britain operations as the country has ceased to be viable location. The decision to sell or shut down will be well received by the company's shareholders since Tata Steel lost INR 3049 crore globally but made a profit of 4901 crore from its Indian operations. India's raw material advantages and Tata's network continue to remain a boon. Tata Steel has added an efficient capacity with its Kalinganagar project. With massive infrastructure projects in the pipeline, the potential demand for steel within the country is enormous. At a time of depressed global demand, consolidation makes more sense. The company should put a competent management in place and look towards a promising future in India.